I gifted it to my sister, Emma, and her family for a weekend they will never forget! We are a family of 5 (including two kids and one baby of 5 months). Not really the ideal stage for adventuring or a relaxing holiday, right!? Unfortunately Instagram can make one feel downright boring, as beautiful images of the places other people are visiting appear on your screen. 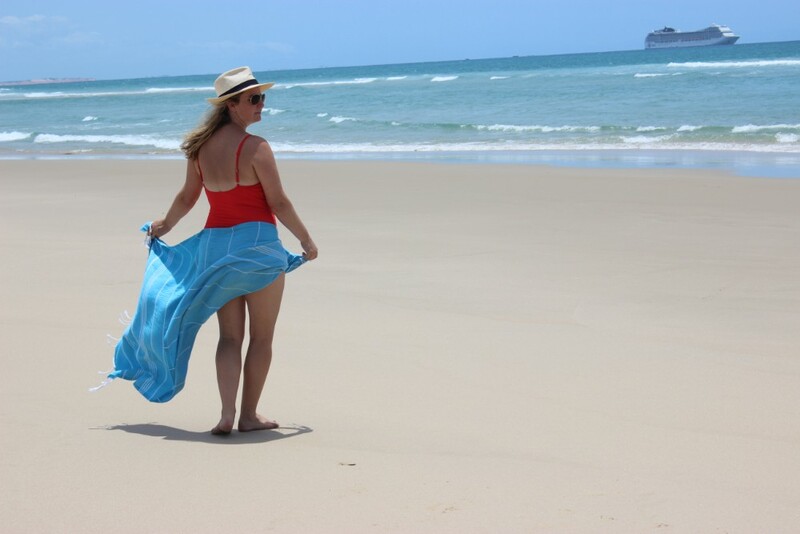 I was left with two choices – get annoyed or get out! I made up my mind to at least plan towards ONE adventurous endeavor for our family every few months. Something that would take us out of our usual routines and breathe life into our family unit. For the first intentional break I decided on a wild African experience – animals, a safari lodge, game drives – something along those lines! 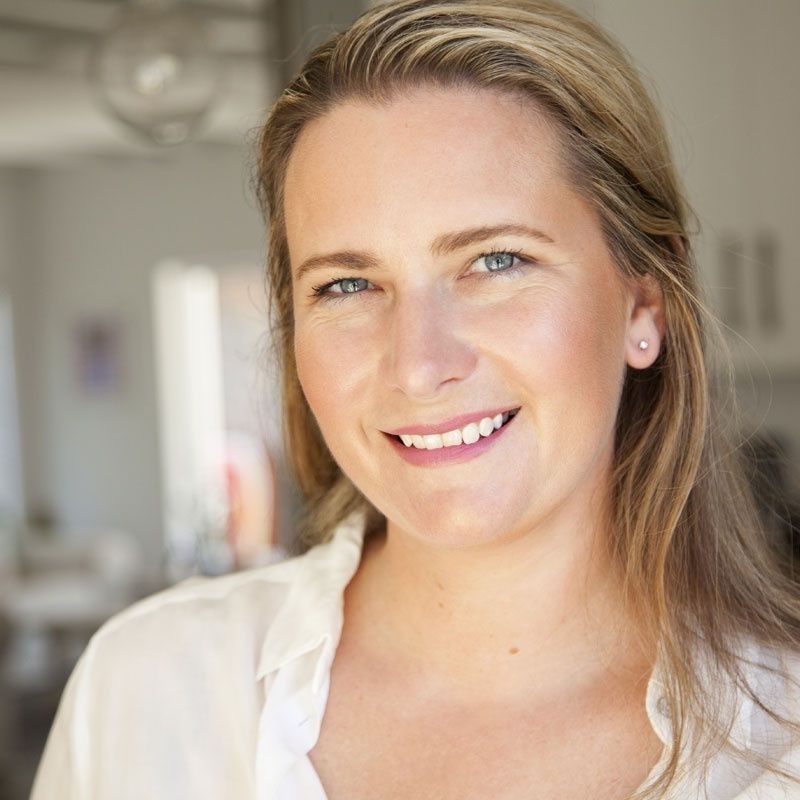 I turned to Google for some options and Aquila became an obvious choice for us as we are Cape Town based. Then just as I had been planning to book I was gifted with a stay at this lodge – what great timing! So why would I recommend Aquila for families with young children and babies!? Surely with a baby it would be easier to stay home and stick to the routine? Isn’t it just more work going out somewhere else? While I did have to put in some extra effort into the packing – monitor, camp cot, nappies and food for an ‘almost ready for solids’ baby. I did try to pack light, but in our case this was proving to be near impossible! Once our vehicle was loaded with everything we were on our way! 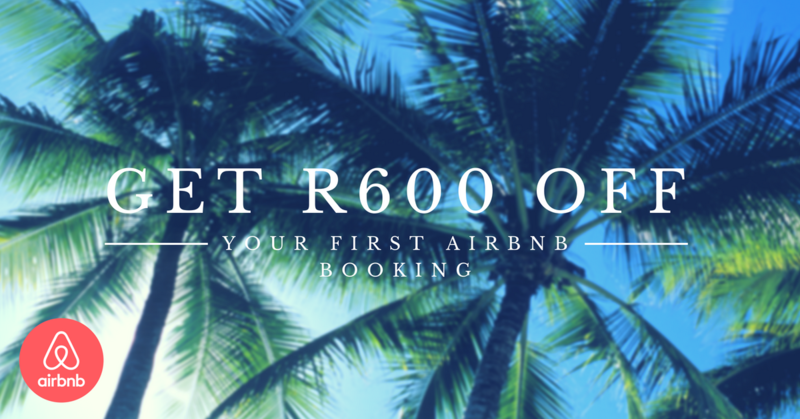 Let’s just say our baby was not the happiest traveler, but once we had arrived and were greeted by the friendly staff and offered some refreshing welcome drinks under the coolness of the thatched lodge, I knew it was all worth it! 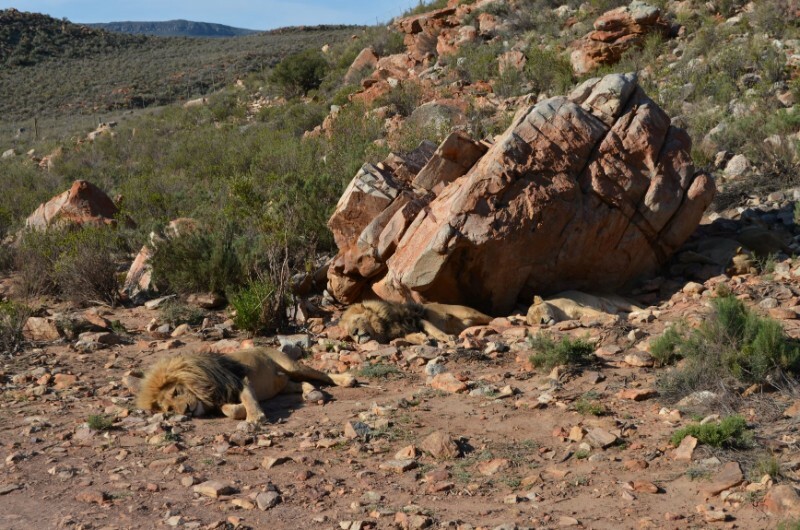 Aquila Private Game Reserve is located just over 2 hours from Cape Town. 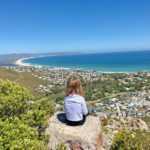 If you time your kids naptime well, you can enjoy a peaceful car journey there and the beautiful Cape Winelands views and stunning fold mountain scenery as you drive through the Hex River Valley and onwards into the Klein Karoo. There are also plenty of great, well-serviced little stop offs that you can enjoy along the way. that off refreshments, ablutions and space to stretch little legs – all essentials when travelling with kids! Alternatively, Aquila also provide transfers to the lodge. On arrival you can immediately enjoy the pool facilities. This was especially great as we arrived on a sweltering morning during the warm season. The lodge has a very family friendly layout as the rooms, the restaurant and other amenities are in close proximity – so no long walks to your next meal, or to fetch the sun cream if you forget it behind in your room! The pool is also surrounded by many pool loungers making it easy to set up your towels and enjoy relaxing alongside your kids. 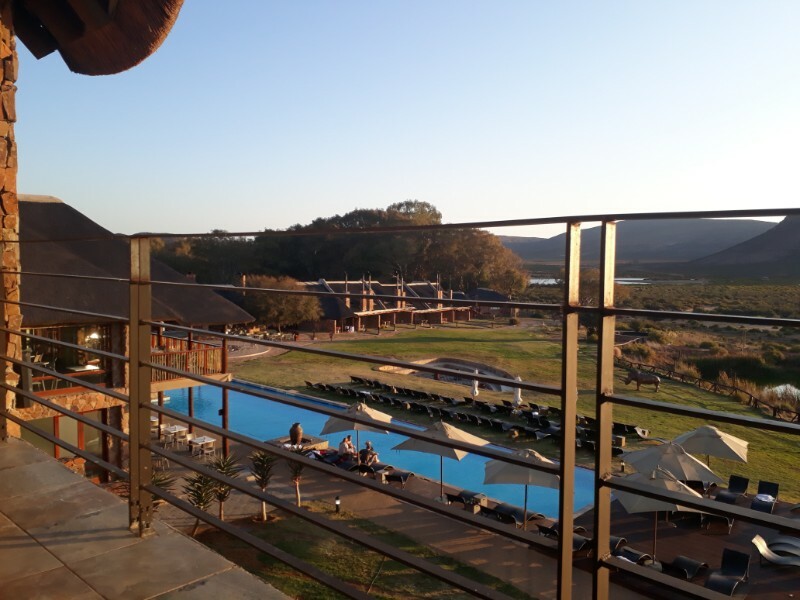 We were thrilled when we spotted a lazy elephant and some ostriches wandering past us in the area situated just beyond the pool. These factors all contributed to our stunning lazy pool side afternoon. We stayed in the Premier Lodge Room and it worked well for our family. There are various accommodation options on offer so you can choose what you feel would suit your family best. Our room was situated on the third floor and the stunning views from our room provided the perfect relaxing backdrop to our stay. Even while feeding my baby I could sit and breathe in the open spaces and watch some of the resident wildlife wandering past in the distance! The balcony also provided a perfect peaceful haven where we could stop and relax after the kids went to bed – and breathe! Our kids slept on a very comfortable sleeper couch and we enjoyed the simplicity of the design of the space – especially no TV! 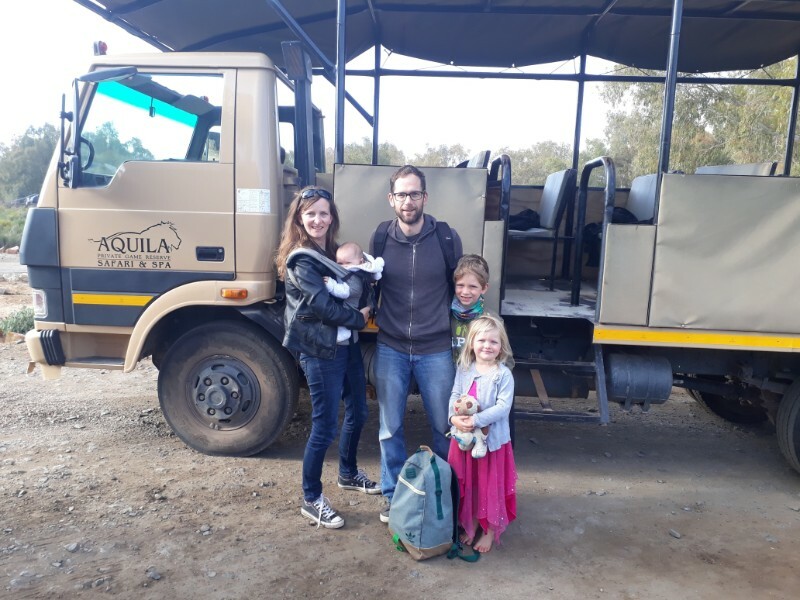 Onto the game drives – I love sharing experiences with my children and this was simply awesome. 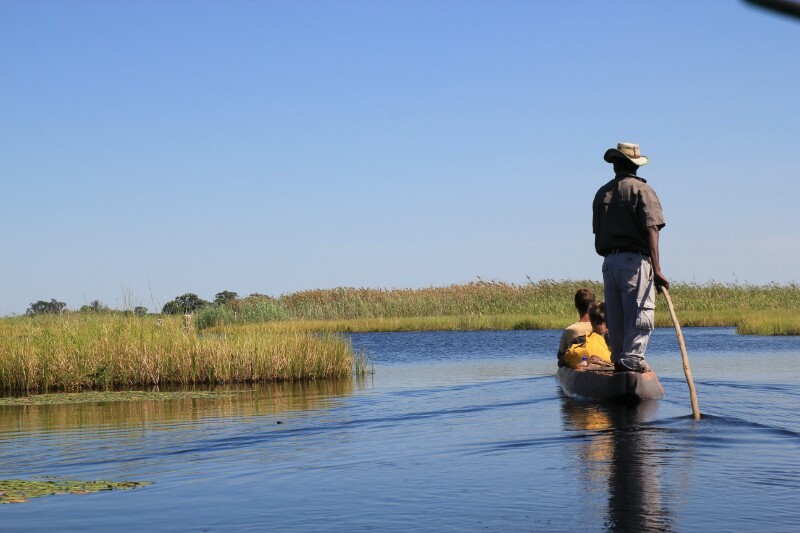 The game drives are not too lengthy and you are almost guaranteed to see wildlife as the total size of the park, combined with specific feeding spots, facilitate this. We also loved that they have a mid-way stop off point where one can enjoy the delicious snack platters and drinks on offer – it really was perfect timing for our little herd. Animals you ask? What did we see? 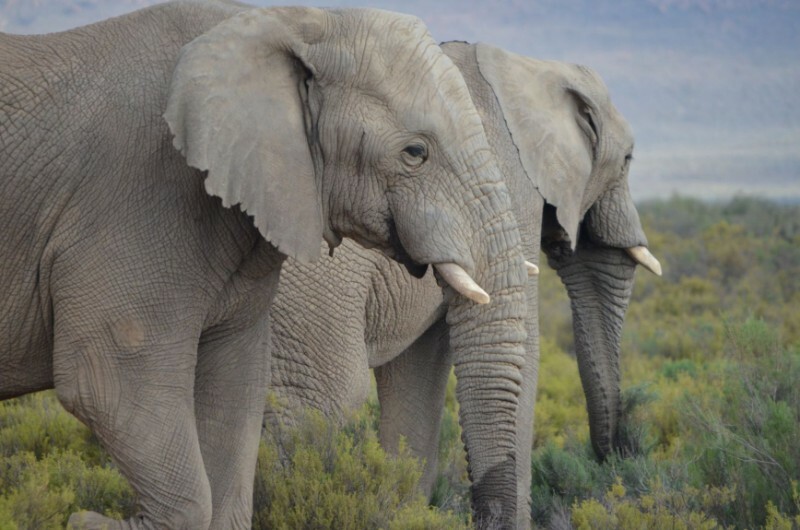 We were so privileged to see a large amount of animals on our game drives such as elephants, springbok, lions, rhino, kudu, ostrich, hippo and more! 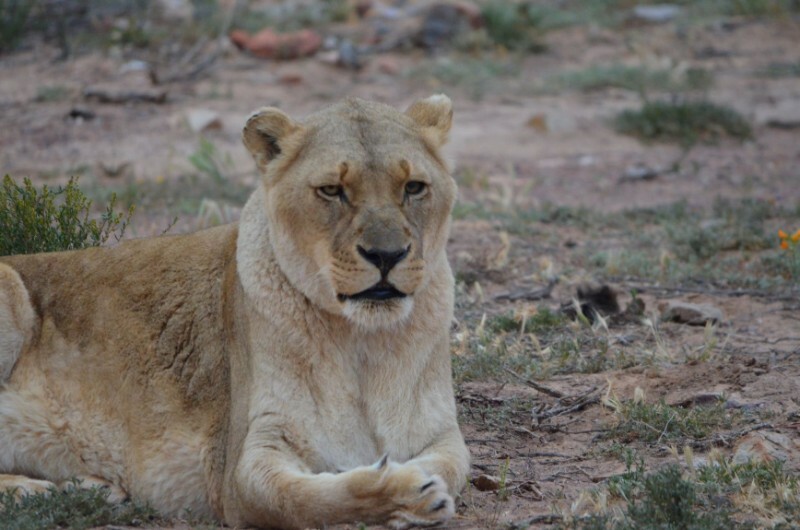 Aquila prides themselves on being a rehabilitation centre and so their lions are kept in a special large enclosure. This set up makes it ideal for children who are keen to view these kings of the wild! Our kids were thrilled to ‘meet’ these large wild cats up close, they loved the bumpy ride on the large safari truck, they made friends with other ‘tourists’ and were thrilled as our amazing guide Carlo shared many facts from the African bush. Huddled together on the game viewing truck we watched the sun begin to set and I just knew I would treasure this moment for a long time to come. Aquila makes feeding kids really easy, meals are all buffet style and this makes it easy for kids to select what they actually like. We were not in the mood for food negotiations and so, as a treat, let our kids have the freedom to select whatever they felt like – guava mousse and custard for supper anyone? We literally could feel ourselves unwinding as we sat poolside in the warm evening air, long after their usual bedtime, and, as they provide baby high chairs, even our littlest one happily played along on our African lodge experience! After supper we took full advantage of the large campfire and educational star-gazing talk and lapped up these true bush experiences as a family. 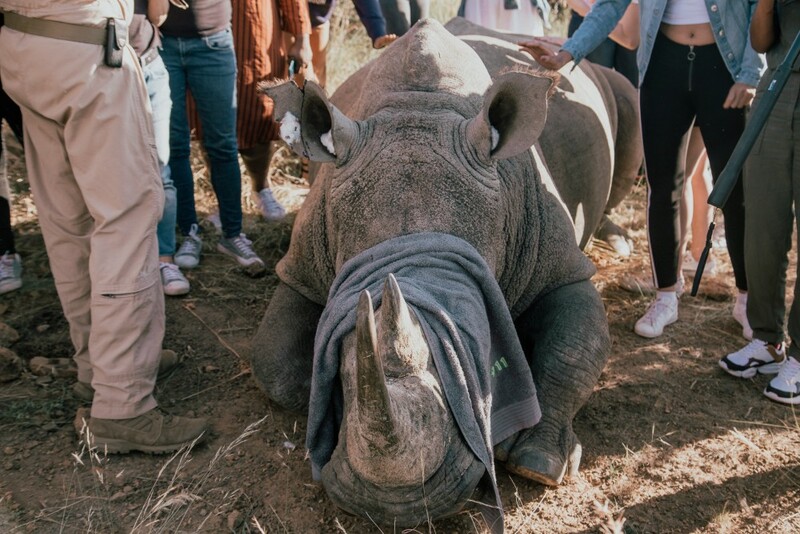 Our daytimes at Aquila were spent on a variety of activities: an early morning game drive, wrapped up in cosy blankets to keep us from the morning chill allowed us to view the bush from a different perspective as the animals woke for the day. 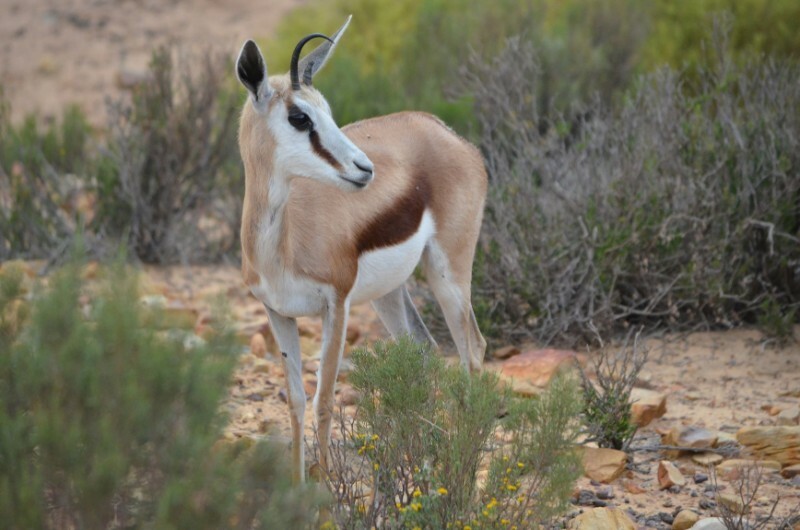 How lucky we were to witness a baby springbok wobbling along with his family – wondering what they would call their baby! A private tour of their awesome aquaponics centre allowed our kids to ask the guide many questions about how the fish in the tanks help them grow food for the many meals that they serve guests. We also experienced a delightful moment where a little tortoise crossed our path – our baby was the most fascinated with this discovery! It was wildlife at every turn and we took it slow and lapped it all up. Apparently they will soon be opening a special dinosaur park which we can’t wait to go back to visit! Another great reason to visit Aquila is their very conveniently located spa. We didn’t have quite enough time to enjoy their offerings, but how convenient for parents to enjoy a spa treatment while the little ones get cared for around the corner in the well-equipped kids centre. (or arrange an in-room babysitter!) 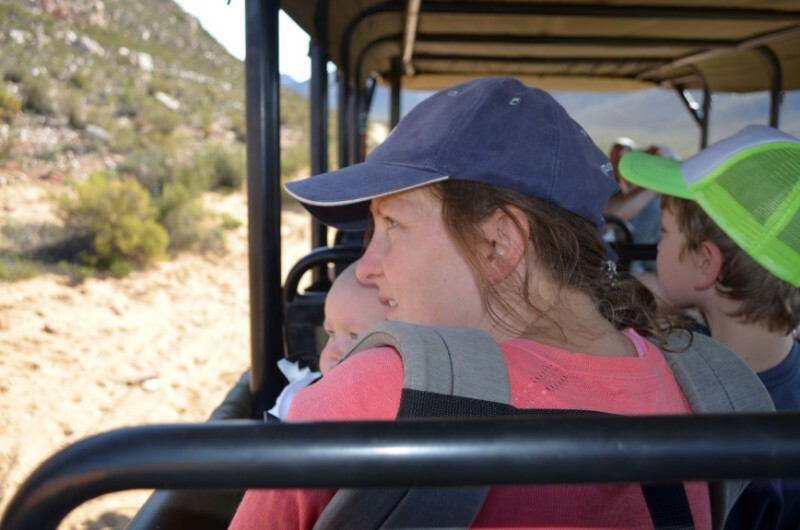 Allowing moms and dads to take a real moment of relaxation before a sunset game drive – what a perfect combination! 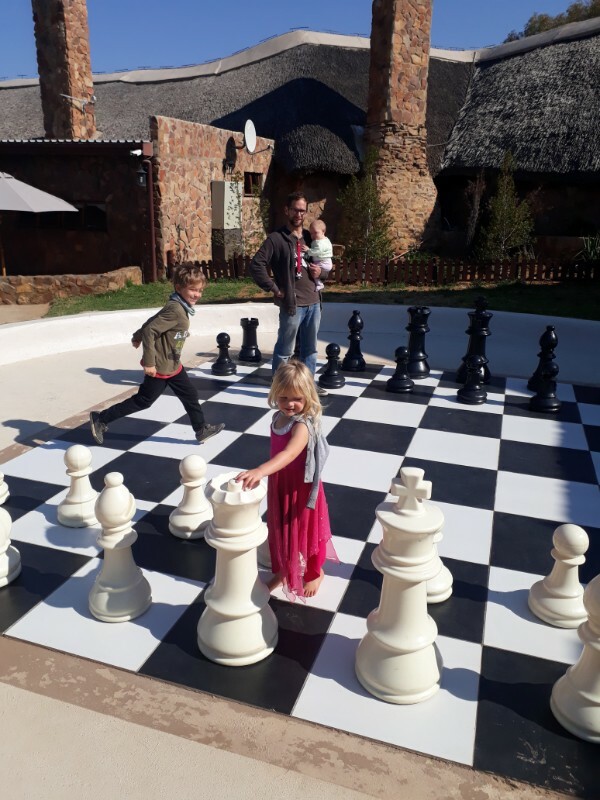 At the kids centre we enjoyed a family game of chess on their large outdoor chess board and played a game of putt-putt a few too many times – the main aim to beat mom and dad each time! We loved these screen free activities in the kids centre and they enriched our family time together. A simple, but adequate space, sectioned off so that as we enjoyed some activities with our oldest, our preschool aged daughter could roam around and enjoy the jungle gyms without us worrying that she has wandered off. All in all we loved our escape to the wild. Our kids are begging us to go back again! 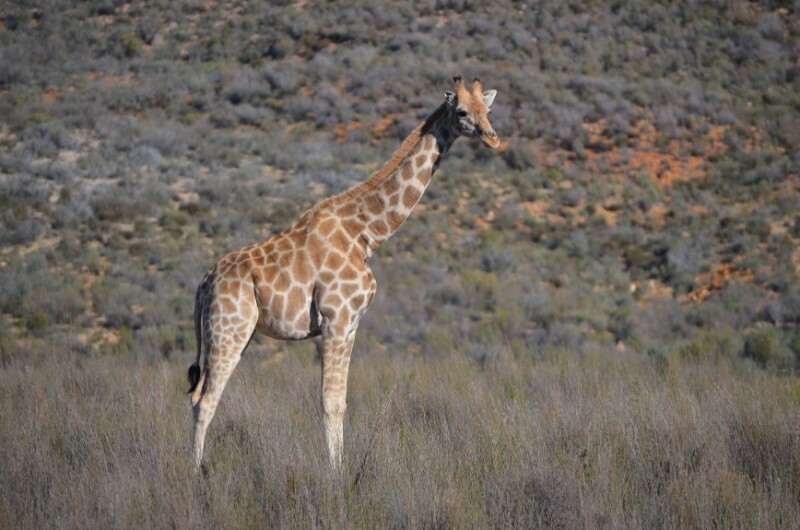 The experiences they had have continued to be present in our conversations as we remember how the baby springbok wobbled and then even jumped on his stick thin legs and how enjoyable the bumpy safari tuck drive was! 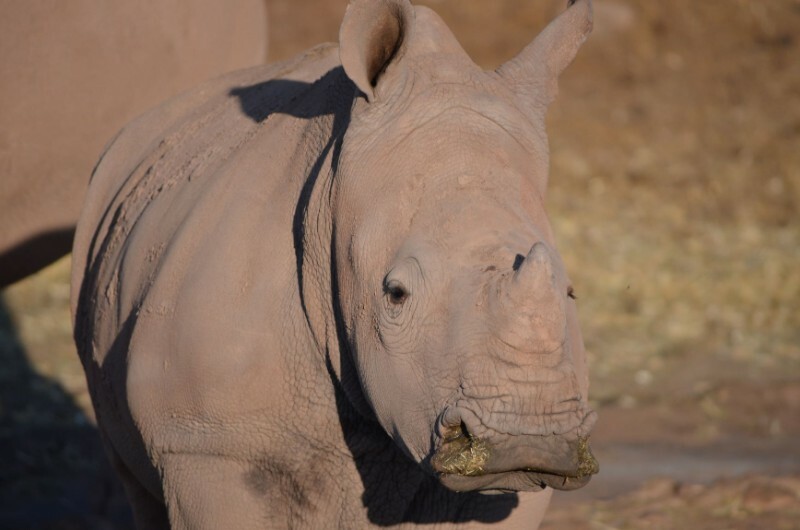 We bonded, breathed and felt thoroughly refreshed after our stay at Aquila Private Game Lodge. 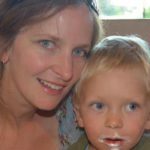 Beautifully written Emma, and a lovely account of you and your families experience at Aquila. As a self employed tourist guide here in Cspe Town, it’s an easy choice for me to recommend Aquila to my guests. Cheers to your next family adventure! Thanks James. 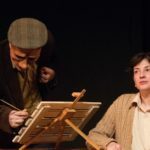 Is really was a worthwhile and memorable experience. As a tour guide what other places can you recommend?